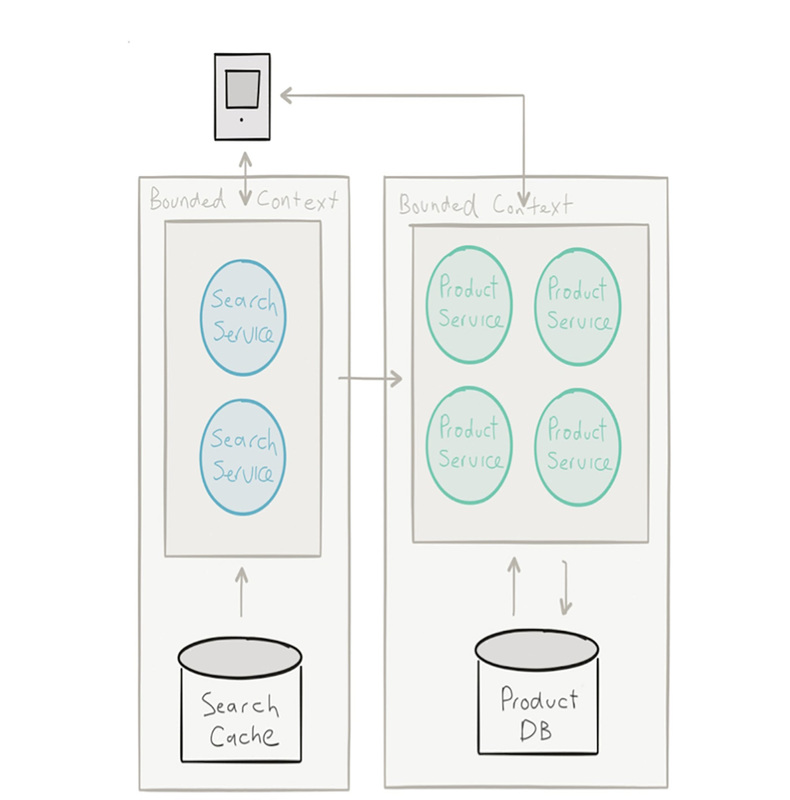 Two characteristics to consider when building a microservices-based architecture. Editor’s Note: The following post is an excerpt from the report “Reactive Microservices Architecture: Design Principles for Distributed Systems,” by Jonas Bonér, due out in March. Sign up to be notified when the free report download becomes available. Space: allowing distribution and mobility—the ability to move services around. Let’s dive a little deeper into two of the traits that make up a reactive microservice: isolation and autonomy. Failure isolation—to contain and manage failure without having it cascade throughout the services participating in the workflow—is a pattern sometimes referred to as bulkheading. Resilience—the ability to heal from failure—is dependent on compartmentalization and containment of failure, and can only be achieved by breaking free from the strong coupling of synchronous communication. Microservices communicating over a network boundary using asynchronous message-passing enable the level of indirection and decoupling necessary to capture and manage failure, orthogonally to the regular workflow, in a supervision hierarchy. Isolation between services makes it natural to adopt continuous delivery. This allows you to safely deploy applications and roll out and revert changes incrementally—service by service. Isolation also makes it easier to scale each service, allowing them to be monitored, debugged, and tested independently—something that is very hard if the services are all tangled up in the big bulky mess of a monolith. Figure 1. Bounded contexts of microservices. Image courtesy of Lightbend. Isolation is a prerequisite for autonomy. Only when services are isolated can they be fully autonomous and make decisions independently, act independently, and cooperate and coordinate with others to solve problems. An autonomous service can only promise its own behavior by publishing its protocol/API. Embracing this simple yet fundamental fact has a profound impact on how we understand and model collaborative systems with autonomous services. Another aspect of autonomy is that if a service only can make promises about its own behavior, then all information needed to resolve a conflict or to repair under failure scenarios are available within the service itself, removing the need for communication and coordination. Working with autonomous services opens up flexibility around service orchestration, workflow management, and collaborative behavior—as well as scalability, availability, and runtime management. However, this comes at the cost of putting more thought into well-defined and composable APIs, which can make communication—and consensus—a bit more challenging. When designing individual reactive microservices, it is important to adhere to the core traits of isolation and autonomy. And remember, microservices are collaborative in nature and only make sense as systems. It is in between the microservices that the most interesting, rewarding, and challenging things take place, and learning from past failures and successes in distributed systems and collaborative services-based architectures is paramount. For more information about Lightbend's (formerly Typesafe’s) open source microservices framework Lagom, visit the Lightbend website. This post is a collaboration between O'Reilly and Lightbend. See our statement of editorial independence. Article image: Close up on the cladding of the Selfridges Building at Birmingham Bullring Shopping Center. (source: PhotoEverywhere).